Explanation: Something was about to happen. Just two days ago, two of the three celestial objects easily visible during the day appeared to collide. 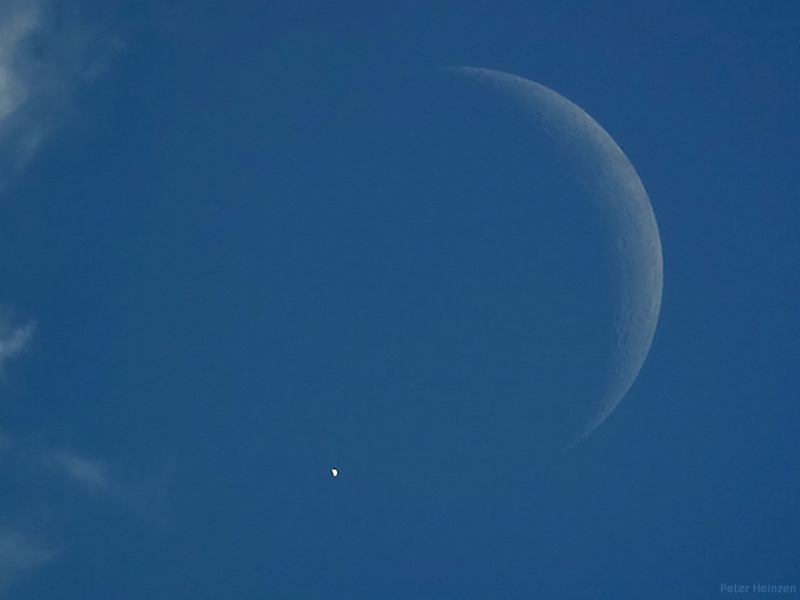 But actually, Earth's Moon passed well in front of the distant planet Venus. 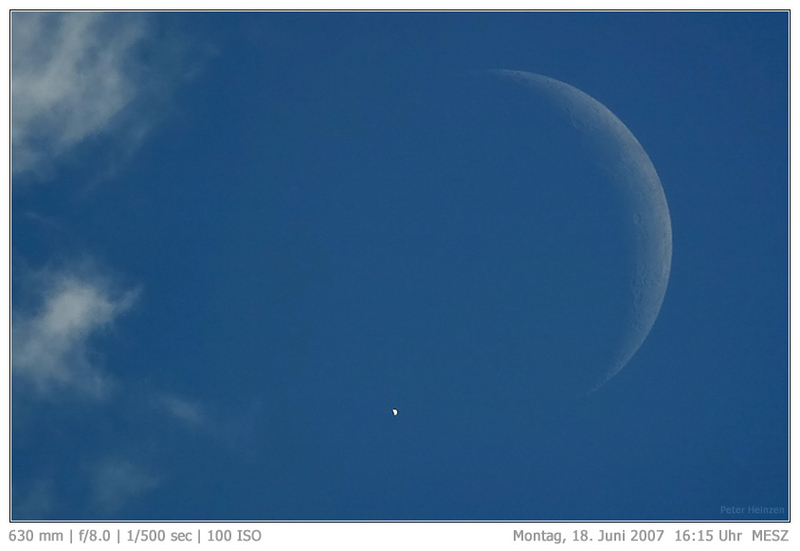 The occultation was caught from Switzerland in the hours before sunset. Moments after this image was taken, the Moon, visible as the crescent on the right of the above image, eclipsed Venus, appearing in gibbous phase on the lower left. Clouds that once threatened to obscure the whole event, were visible on the far left. About 90 minutes later, Venus re-appeared just to the right of the bright crescent.